What is it Chapter 8 and why do I need it ? 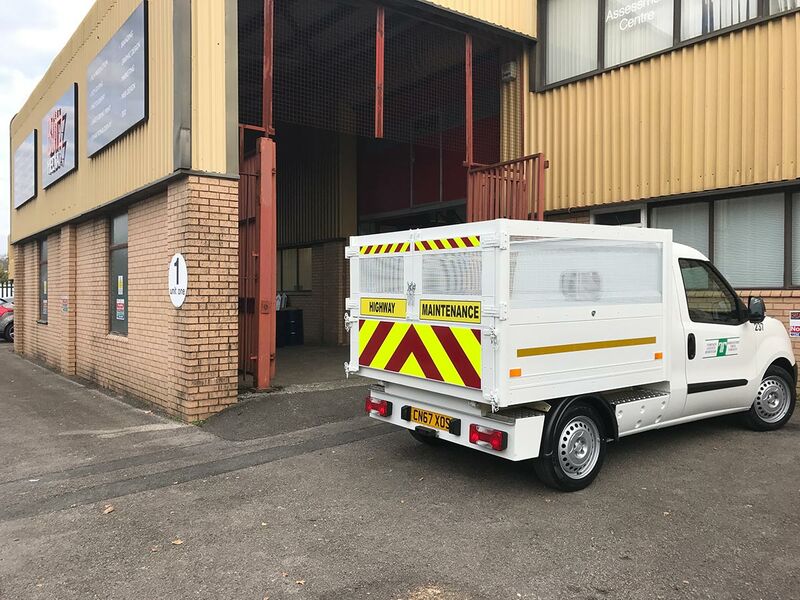 The compulsory requirements for Chapter 8 chevron vehicle marking is quite confusing, but the Government publish a lengthy document on the exact requirement for your application and the types of materials that must be used, which is very specific. But as a general guide the basic principle of Chapter 8 is about duty of care by Companies protecting their workers and staff who need to stop and work on high speed roads or motorways, particularly if you work in the ‘blue or amber light’ sector, where you need to be seen by other road users. Importantly. 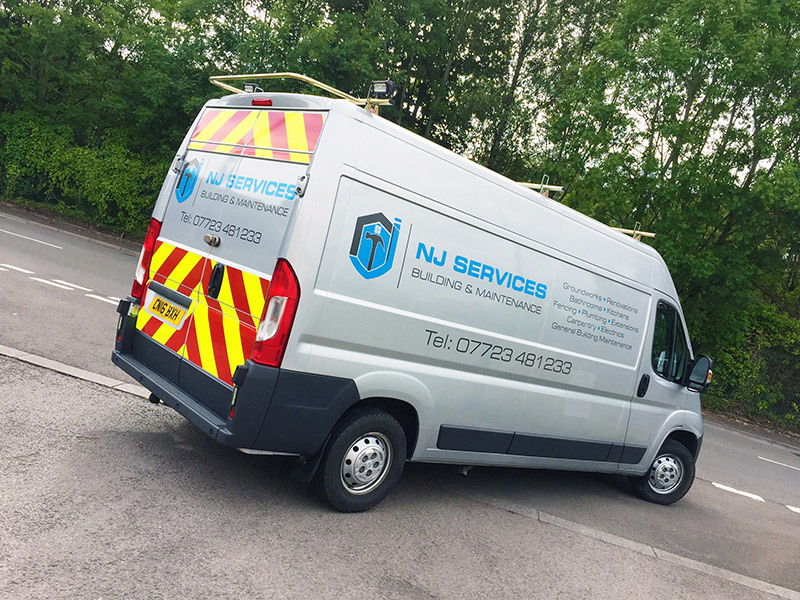 if your working vehicle does not have the correct high conspicuity marking and it is involved in an accident, it could result in significant legal action. What should your vehicle have ? Basically, high visible Chevron Stripes at the rear. Each chevron stripe should be no less than 150mm in width (larger on big vehicles), angled upwards between 45 and 60 degrees. The red stripes must be of retro-reflective material, designed to maximise night-time visibility, whilst the lemon-yellow stripes are non-reflective but fluorescent, providing good daytime visibility and contrast to the red. 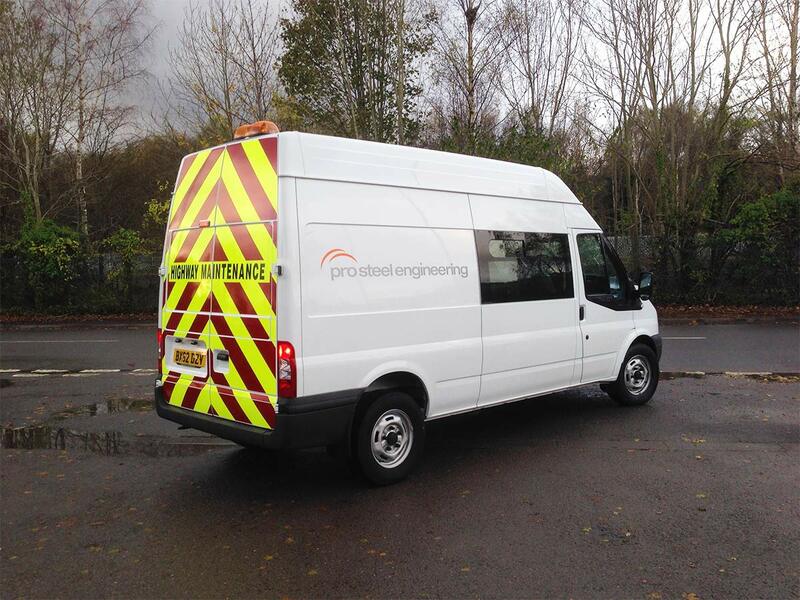 The chevrons should cover as much of the rear as possible without obscuring windows, lights or registration plates. 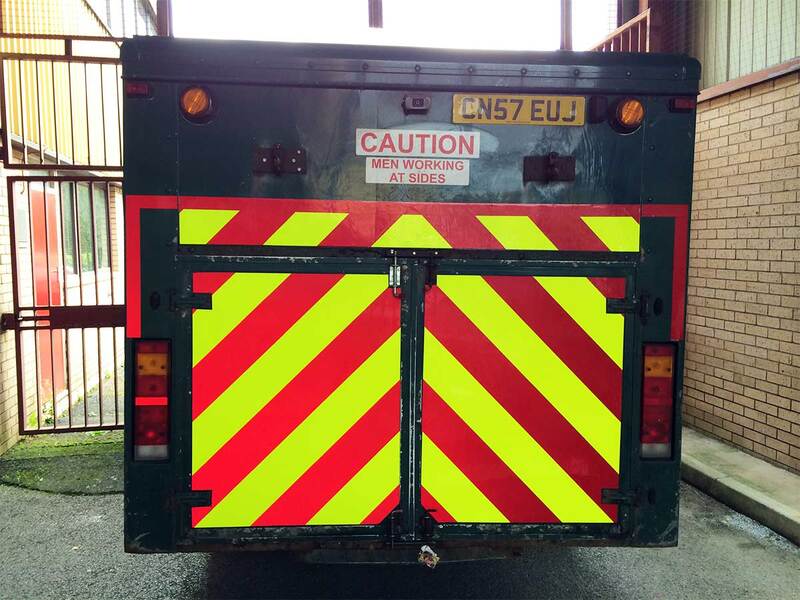 It is also legally acceptable to have complete coverage of red retro-reflective material in place of chevrons on the rear but the red/yellow combination is generally considered to give the greater all round conspicuity. Therefore, depending on the area and location of work that the vehicle will be involved in, will decide the classification of livery that you require, however to simplify matters a rough guide is the faster the road the higher the reflectivity required, but as the end user, you must ultimately decide, following the available information via the governments Chapter 8 website. 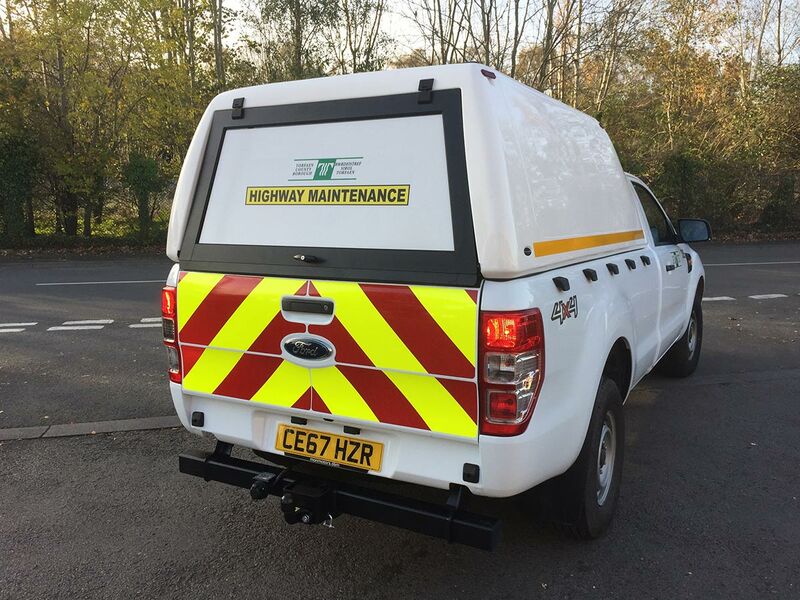 In addition to the above guidelines, highway maintenance vehicles will need “HIGHWAY MAINTENANCE” text across the rear of the vehicle at a minimum of 70mm in height. 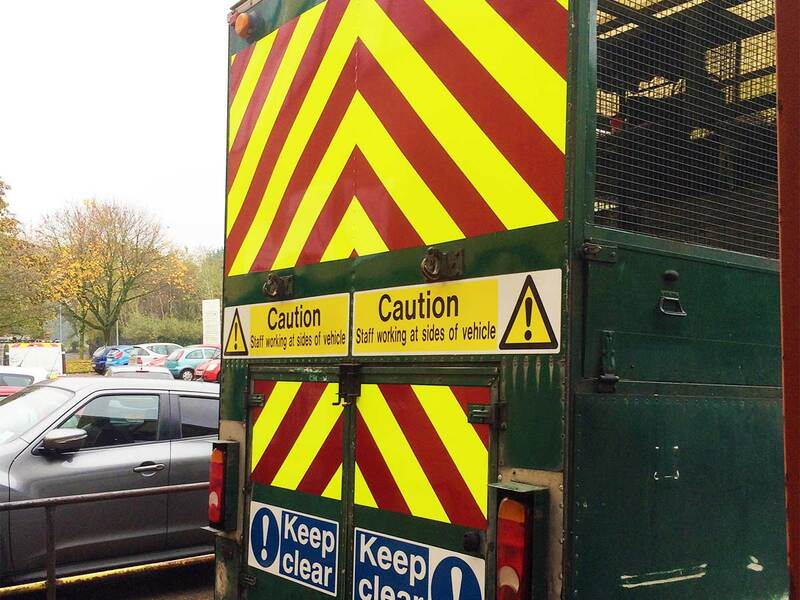 This applies to motorway maintenance vehicles. 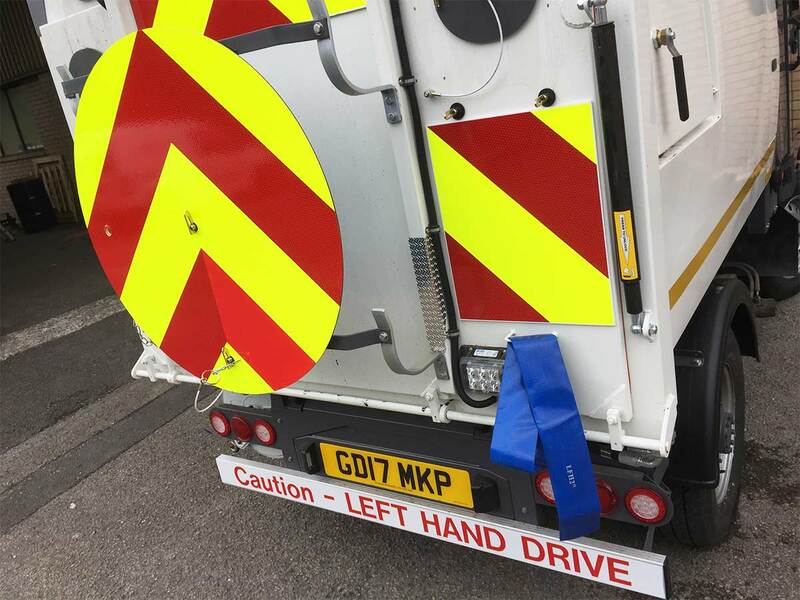 In addition it is also recommended that a 50mm fluorescent yellow retro-reflective strip be fitted along each side of the vehicle and red reflective strips should be applied to all rear facing edges of open doors and guard rails. Both films must be compliant with EN12899-1, RA1/ RA2 or an equivalent micro-prismatic. 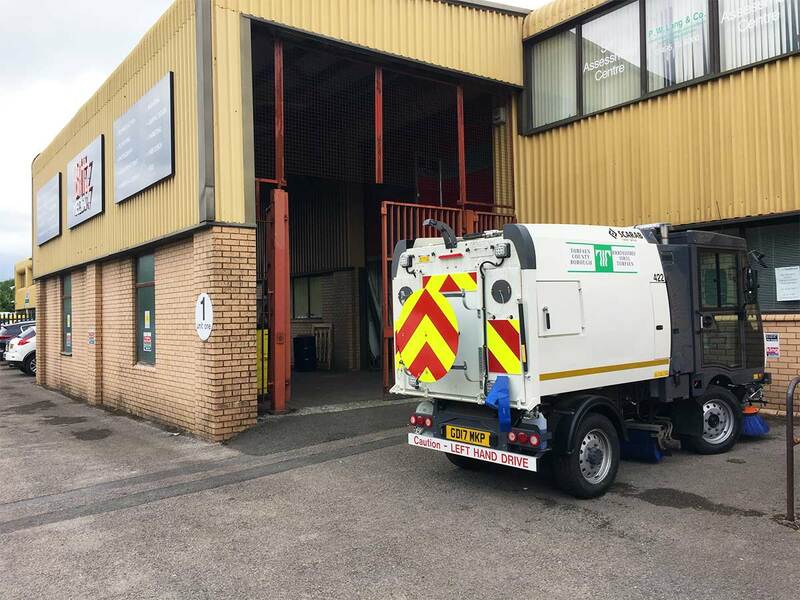 Because of the work involved the vehicle will need to liveried at our factory premises. 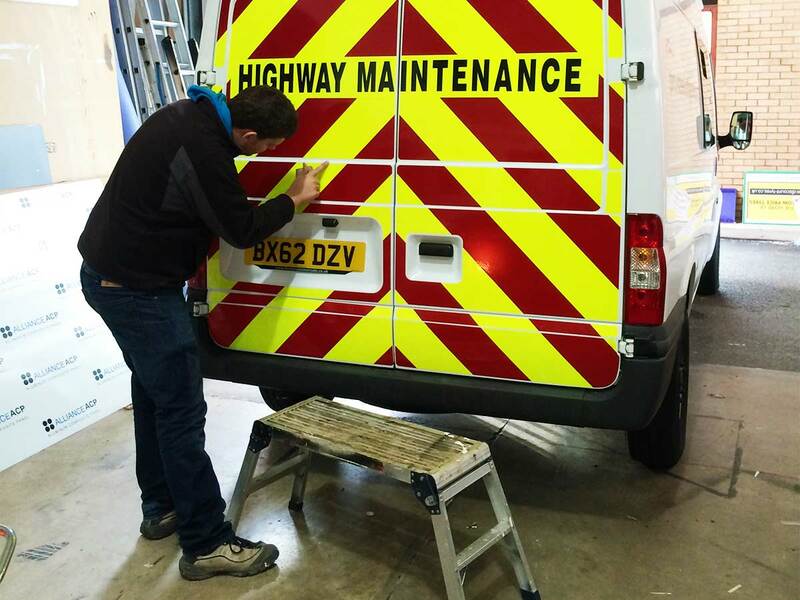 Application is generally permanent, however we can manufacture chevron kits on a magnetic base for flexibility. 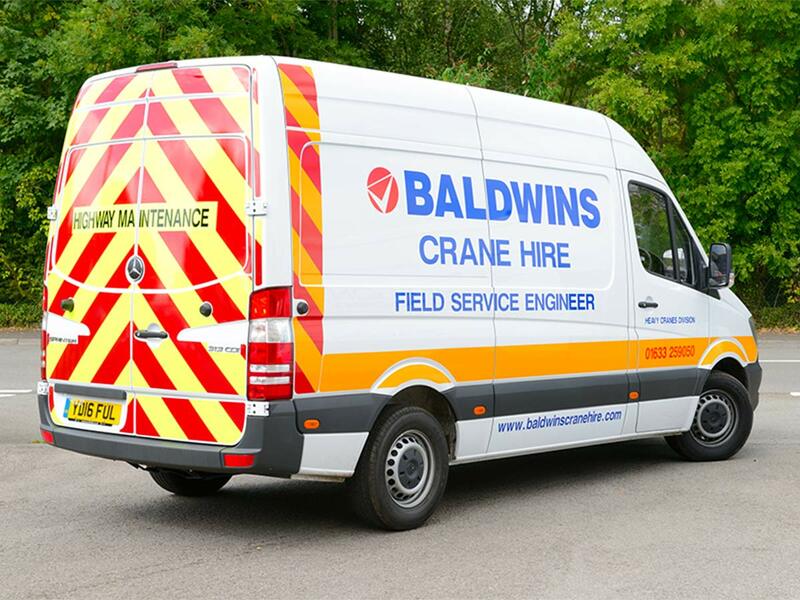 Kits are available to fit all popular vehicles, however we can accommodate bespoke manufacture if required. Finally, because there are several options available for each vehicle prices are P.O.A.